As I’ve pointed out previously, polar bears are leanest – and thus, hungriest and potentially the most dangerous to humans – at the end of winter (i.e. March). That is why the unexpected prospect of hundreds of lean and hungry polar bears coming ashore in early March hunting available human prey would be a truly terrifying and daunting experience. Such a speculative scenario stands in marked contrast to an actual incident in July that involved a single well-fed bear that attacked a man asleep in a tent because he and his companions had chosen to dismiss the known risk. Any predatory attack by a polar bear is terrifying but which is potentially the more deadly? One you can reasonably expect (and thus prepare for) or one that comes out of the blue and catches everyone unprepared? The second scenario is what happened to a Sierra Club lawyer, depicted in a little book called “Meltdown: Terror at the Top of the World” by Sabrina Shankman. Shankman’s book is a contrived battle between man, beast and Nature and is being promoted with the phrase “ice melts, bears starve” – as if Arctic sea ice did not melt every year at this time and the bear who attacked the lawyer in July was starving. The bear was not starving – none of the descriptions of the attack suggested it was skinny or starving. It was only described as a big male that was chased away after the attack and not seen again. 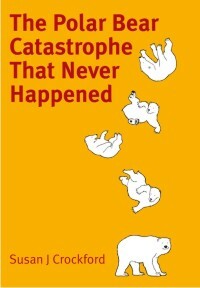 The attack had nothing to do with unprecedented melting ice or ‘climate change’ (i.e., anthropogenic global warming), yet that is how it is portrayed in Shankman’s little book. “Ice Melts, Bears Starve: Meltdown, Terror at the Top of the World” Below is an excerpt from my review of the book (RANGE Magazine, Spring 2015: “A Harrowing Encounter”, longer excerpt here). “I have little doubt the man mauled by the bear was indeed terrified and that his companions were as well. 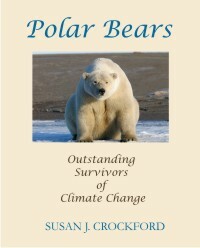 However, that horror is exploited shamelessly in this book as a means to promote anxiety over the future survival of polar bears and instill panic over a prophesied Arctic “meltdown.” It uses the gruesome details of a predatory polar bear attack—a known media and publishing draw—as bait to sell a false message that Arctic sea ice is in an unnatural state of decline and polar bears are in peril. Polar bears are most hungry in March and that is the time when they are most at risk of starvation – and therefore the most dangerous of predators – if there is a shortage of their natural food (newborn Arctic seals). The terror described in Eaten is not only possible but quite plausible under certain circumstances, which makes it all the more horrifying. You thought JAWS was scary? This is even scarier. Give this novel a try – it’s available in paperback and ebook formats (Amazon; Barnes & Noble; iTunes, Kobo ebooks; for outlets outside North America, search your local Amazon site or here). I think you’ll find this piece of speculative fiction to be a much more thought-provoking and informative read than the false shock and alarm found in Shankman’s 94 page volume. Makes a great gift for friends and family that would never read a science book. 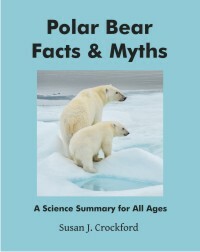 This entry was posted in Book review, Life History, Polar bear attacks and tagged attacks, battle between man, beast and Nature, bears starve, climate change, dangerous, Davis Strait, deadly, Eaten, facts, Fogo Island, global warming, harrowing encounter, hungry polar bear attacks, ice melts, March, Meltdown, Newfoundland, novel, polar bear, predatory, scary, sea ice, speculative fiction, spring. Bookmark the permalink.